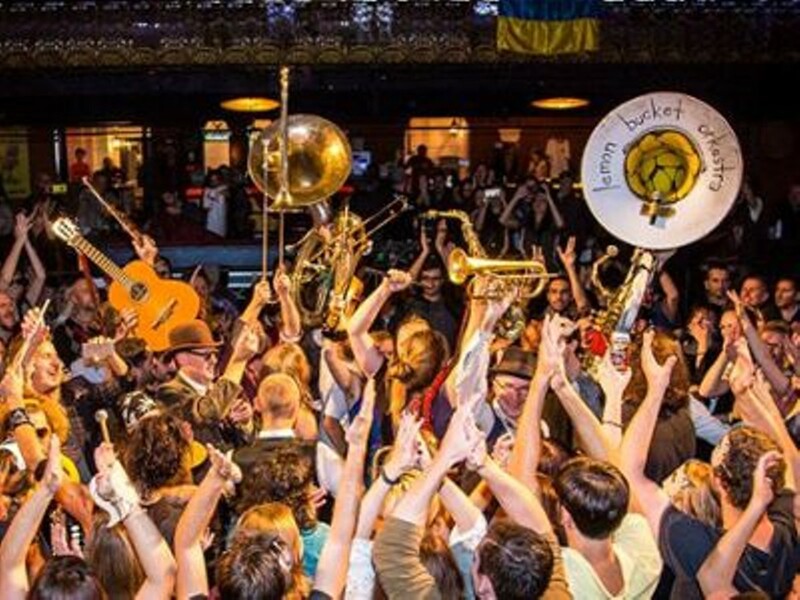 "Balkan-Klezmer-Gypsy-Party-Punk-Super Band" Lemon Bucket Orkestra brings a wild night of brass to Brillobox. 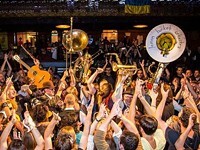 If you're unfamiliar, it's a Canadian collective that makes flamboyant, adventurous music inspired by Eastern European songwriting and instrumentation (clarinet, fiddles, tuba, accordion, a big ol' drum). If you're unfamiliar, start with the most recent record called If I Had The Strength and work your way backwards. It's a blast.